- Specially designed for the Buflex Sanding – Sheets. - Equipped with extra soft Velcro. The Buflex Middle Plate will make machine - sanding a lot easier. Regular Velcro is hard and stiff and can pierce through sanding paper. This can cause more scratches. The Buflex Middle Plate is equipped with extra soft Velcro which ensures that this cannot occur. Many people use the Kovax Sanding Systems with pressure air. 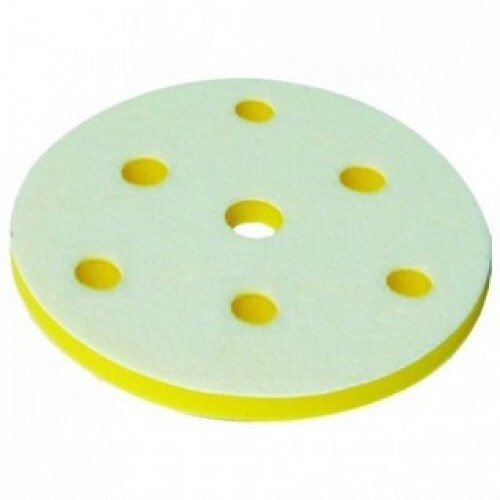 With the Buflex Middel Plate the air can easily reach the surface because of the permissive air holes. The heat between the surface and the sanding paper will therefore be limited.